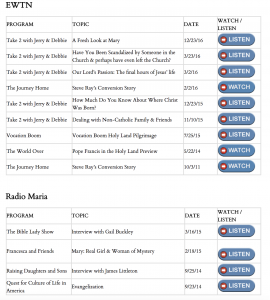 We have been collecting a lot of the radio shows and interviews that I have been doing over the years. There are TV appearances too. You can access them here. We are going back to the podcasts, recordings and archives and will have a lot more coming.